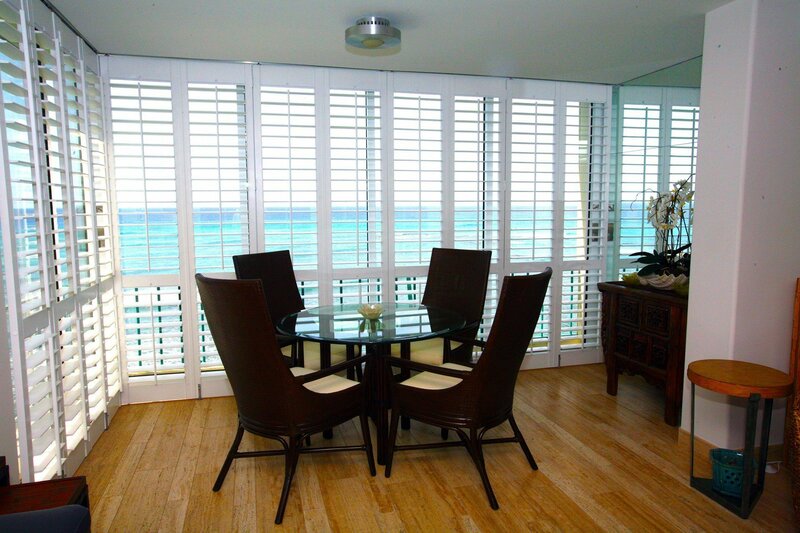 Island Shutters, Inc. is Hawaii’s first and only complete custom shutter manufacturer from start to finish. We have been designing, manufacturing, painting, staining, and installing shutters since 1993. We are proud of our 23,000 sq. ft. manufacturing facility where we manufacture all types of custom shutters and most recently custom cabinet and doors. Our design consultants have hands on experience in all phases of the business including design, building, painting, and installation of shutters. With each of us having over 18 years of experience we consider ourselves experts when it comes to understanding all phases of the shutter business. We want to make sure that you know what you need to know to make an intelligent decision. We understand that this is a major purchase and you need to find out all of your options and cost. We are serious about shutters and we are committed to ensuring that you are satisfied with your purchase. Island Shutters, Inc. is second to none when it’s time for after sales service since our factory is located right here in Hawaii. Any repairs, servicing and future painting and staining can be done with minimal down time. There is absolutely no one else that can offer you this one stop servicing right here in Hawaii. Please call us for a free in-home consultation with one of our expert consultants.